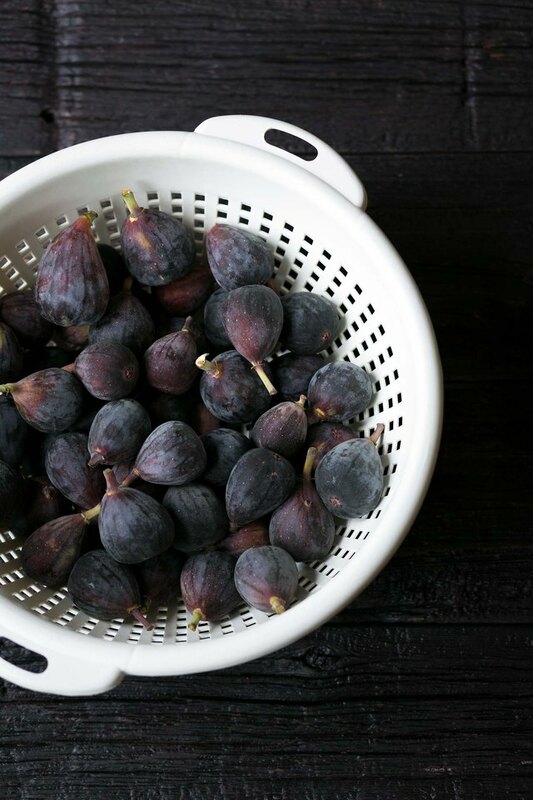 In many locations, fresh figs have a criminally short window of seasonal availability. 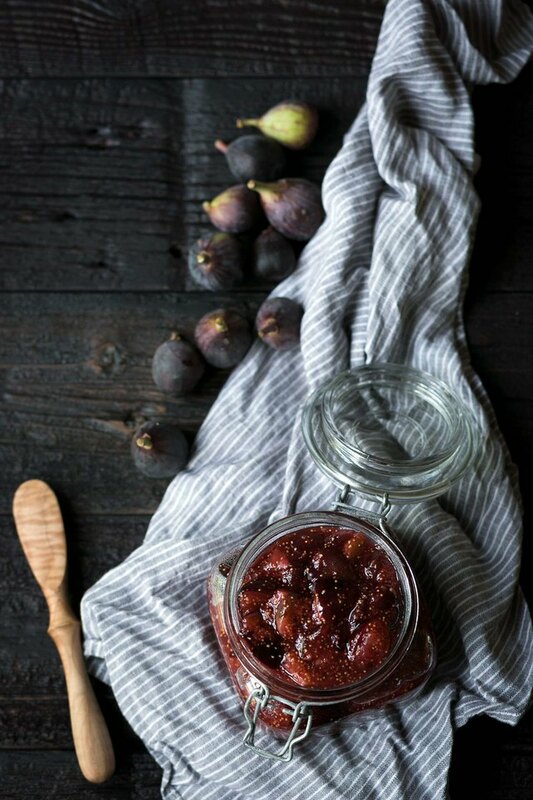 It's a shame, because figs pair beautifully with everything from cheeses to cured ham. 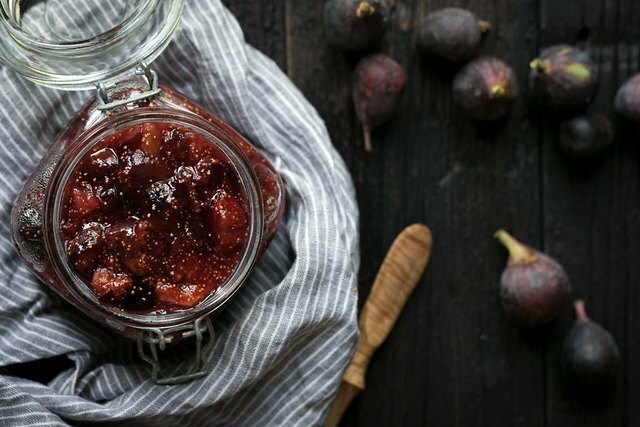 One way to quickly and easily preserve them is to make fig jam. You can sterilize jars to can this recipe. Or, to keep things simple, you can store the final product in the refrigerator for up to one month, or in the freezer for up to three months. 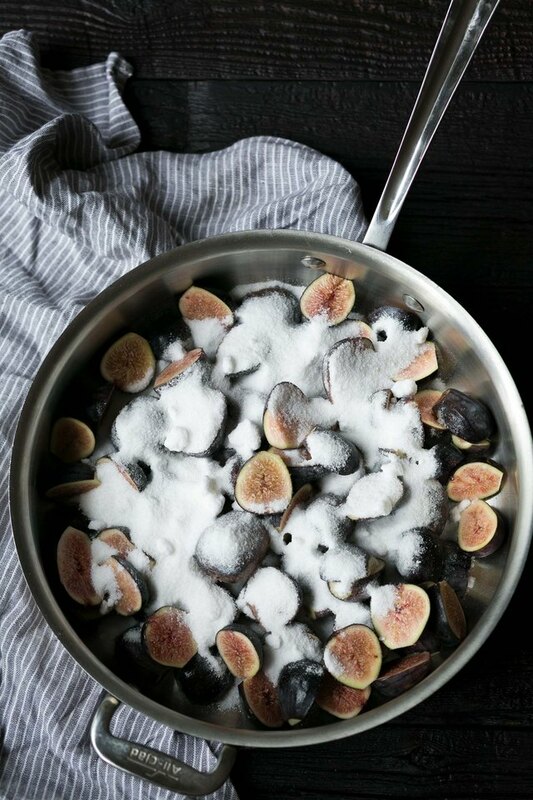 Step 1: Prepare the figs. Step 2: Place the ingredients in a large flat-sided sauté pan or saucepan. 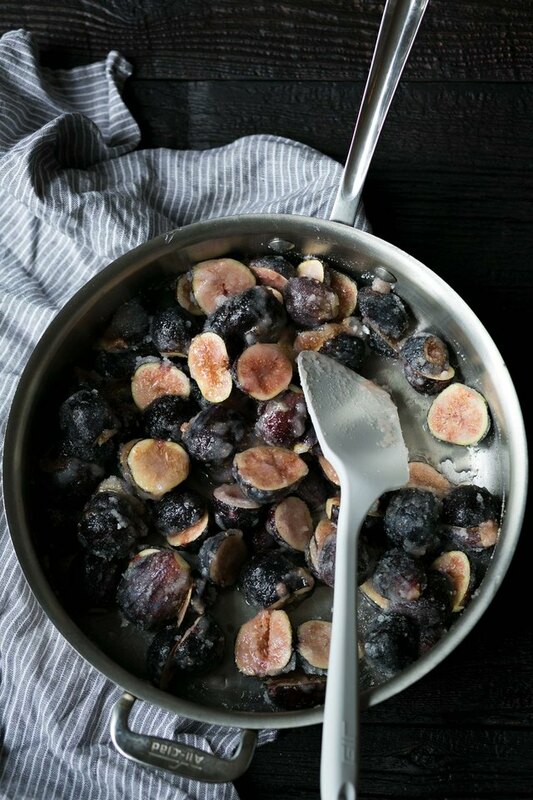 Place the figs, sugar and lemon juice in a large, flat-sided sauté pan (also known as a sautoir), a saucepan, or a Dutch oven. Stir to combine the ingredients. Step 3: Macerate the ingredients. Let the ingredients sit for approximately 15 minutes, stirring periodically. This will allow the sugar to extract some of the natural juices from the figs. Step 4: Cook the jam. Turn the heat to medium and bring the ingredients to a gentle simmer. 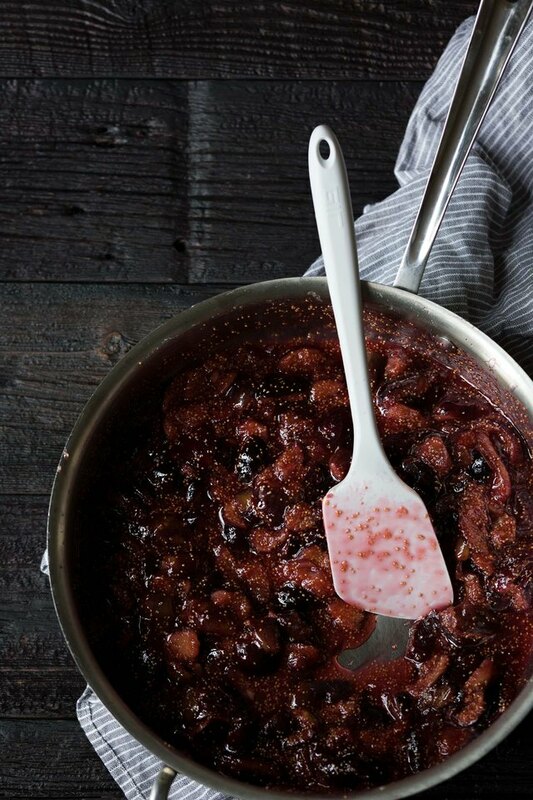 Cook, stirring frequently, until the liquid has thickened into a jam consistency, approximately 20 to 25 minutes. Step 5: Store in the refrigerator. Transfer the jam into smaller containers and store in the refrigerator for up to one month, or in the freezer for up to three months. Yields approximately 3 cups.